Our delivery services do not disappoint as they are always on schedule. We have a team of professionals who are extremely reliable in transporting your paving slabs within the Western Cape such that, it does not chip or break any of the slabs. 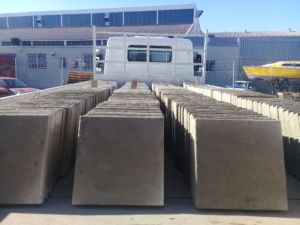 We deliver your pavers to any location in Cape Town at the exact moment in which your pavers are ready or you need it to be sent. We have a high standard regarding the care which we take when it comes to the delivery of the slabs and ensuring you as the customer receive them in good order. 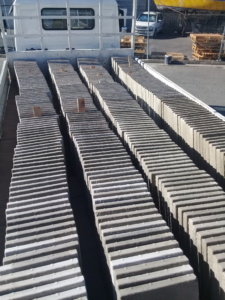 We also have guys who unload for you if you are self-collecting which means you do not need to do any unloading yourself, they are too very reliable in regards to not damaging any of the pavers whilst unloading and packing them. All in all the process is very much a careful measure. We look forward to the time in which you need our trusted services. It should be noted that we offload the pavers where the truck/bakkie can park. The distance for offloading should not be more than 4m away from the truck.